Chocolate Vendor is like having a personal chocolate factory at home. Make delicious deserts with ease! Turn your holiday parties into something special! Chocolate Vendor Comes with the same parts as the original chocolate factory, but in a different box (packaging). The Chocolate Vendor is like having a chocolate factory at home! 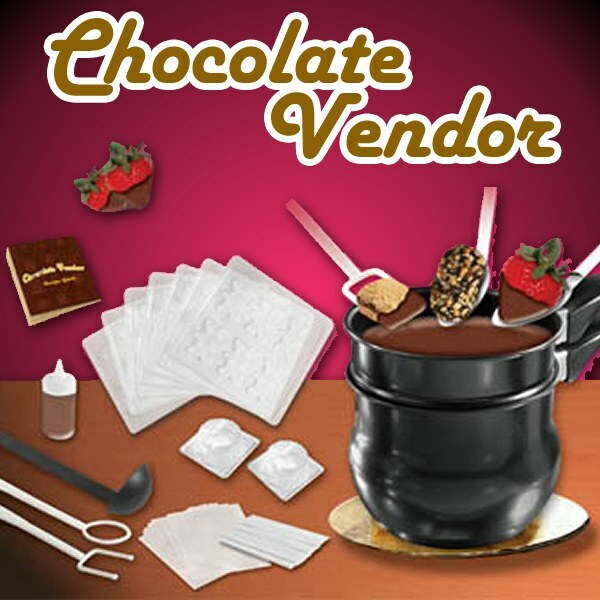 Chocolate Vendor enables the creation of chocolate coated treats like fruits, nuts, cakes and other desserts, and comes with a vartiety of different themed molds to create chocolate treats like lollipops and candies.